Cheap Trick, Deep Purple, N.W.A Picked For Rock And Roll Hall Of Fame : The Two-Way Chicago and Steve Miller were also among the acts chosen by the nominating committee for the 2016 class, which will be inducted in a ceremony in New York on April 8. 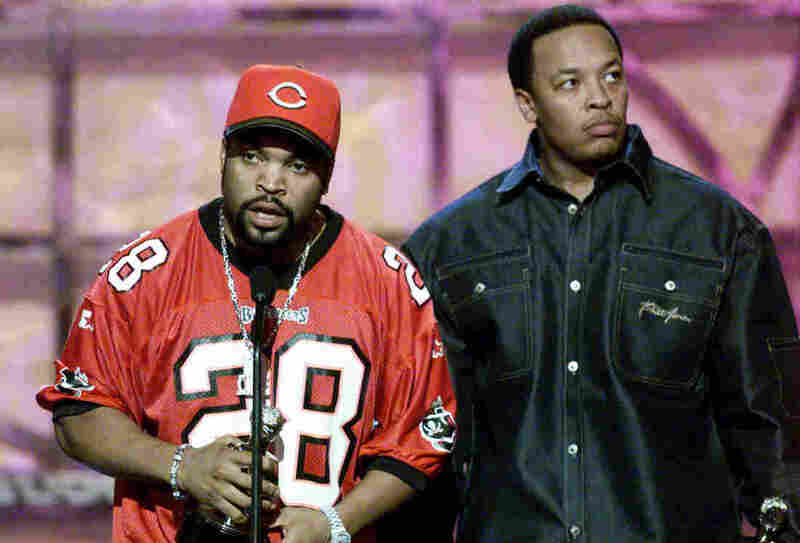 Ice Cube and Dr. Dre, two members of N.W.A, will be in the Rock and Roll Hall of Fame. Acts like The Smiths and Nine Inch Nails were overlooked. The prog rock band Yes got a no. "The music world has been closely watching the results of the secretive Rock Hall process, after the organization this year dismissed a large contingent of its influential nominating committee and, according to reports, made an effort to expand its membership with younger voters and more women. But that process has yet to yield any radical changes." Acts like The Smiths and Nine Inch Nails were overlooked. The prog rock band Yes got a no. Chic, nominated for a record 10 times, has now been overlooked 10 times. Chaka Khan and The Cars will also have to wait for a later date, if ever, to reach the hall of fame. "Her failure to earn induction highlights older rock voters' claims that Miss Jackson isn't rock, isn't Madonna and isn't as good as her brother. I couldn't disagree more. "Janet Jackson has released No.1 albums in four decades, helped break racial barriers on MTV and has 10 chart-topping singles on the Billboard Hot 100 chart. She would have given the 2016 inductions the headliner it needed." But complaining about the Rock Hall's picks is a national pastime. For tips on how to do it properly, check out NPR's The Right Way To Complain About The Rock And Roll Hall Of Fame.